I believe the picture speaks for itself. If you want to buy it for Dad you can do so here. 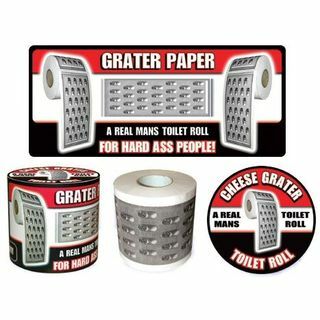 This entry was posted in Funny Stuff and tagged cheese grater toilet paper, fathers day, tp on June 1, 2010 by Jon Lowder.